People of Haddonfield and fans across the world, beware. Michael Myers is making a comeback. According to a recent story published by Collider, Universal Pictures and Blumhouse Productions are starting up a sequel to director David Gordon Green's Halloween reboot, having reportedly tapped Scott Teems (who is set to write the Firestarter remake) as the film's writer. Teems is said to have completed the story as of early February, and Universal and Blumhouse are pleased with the direction he chose to take the action into. Citing multiple sources close to the Halloween sequel, Collider relayed that the follow-up flick will be based on the "well-liked treatment Teems has already written." Another intriguing bit of Halloween 2-related news? The cast of the 2018 refresh are said to return for the new flick. This includes Jamie Lee Curtis as Laurie Strode; Judy Greer as Laurie's daughter, Karen; and Andi Matichak as Laurie's granddaughter, Allyson. The three women got tangled up in a battle for the ages against Laurie's brother, the masked murderer Michael Myers, at the end of Halloween, which saw Laurie trap Michael in the basement of her house and then set the entire place on fire. Narrowly escaping death, the women hitch a ride in the back of a pickup truck and rush an unconscious Laurie to the hospital. The theatrical cut of the slasher pic wrapped on a shot of Laurie's burning house, with Michael missing and presumed dead. Had the film truly ended there, Laurie would have gotten closure and her story that started in John Carpenter's original Halloween from 1978would have come full circle. But Halloween actually kept going after the credits wrapped, when viewers heard the sound of Michael's labored breathing – a sign that he could still be alive. 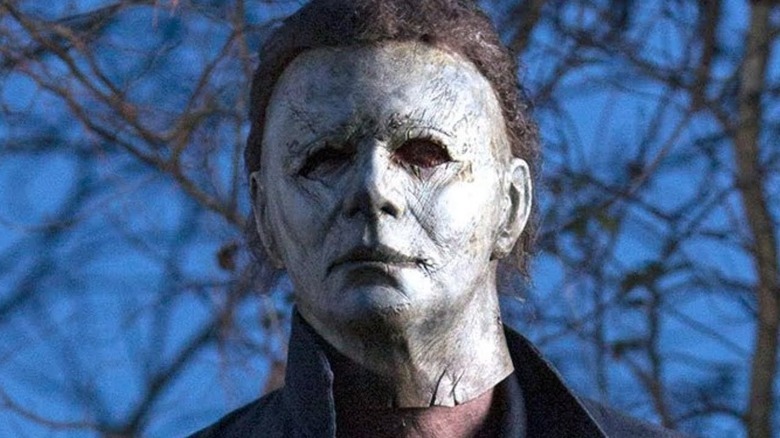 Collider also noted that producer Jason Blum is expected to board the sequel, Universal will again distribute, Bill Block of Miramax and veteran Halloween franchise producer Malek Akkad will produce with Blum, and Gordon Green and Halloween reboot co-writer Danny McBride should executive produce alongside Carpenter and Curtis. No word yet on whether Gordon Green will get behind the helm to direct. Neither studio commented on Teems' reported involvement with the Halloween sequel, which actors may or may not be reprising their roles, or the other creatives that could board. Since Collider has a sterling track record with exclusive news breaks and has historically delivered insider information that is later confirmed by those directly involved with film and television projects, we feel comfortable taking the report as truth. Teems seems a solid choice for the Halloween sequel, as he has experience not only as a writer but also as a director and producer. His credits include directing the documentaries Holbrook/Twain: An American Odyssey and The Network Effect Featuring Dr. Steven Shepard as well as two episodes ("Girl Jesus" and "Pineapples in Paris") of the television series Rectify; writing the shorts Root. and A Death in the Woods, penning the screenplay for That Evening Sun, working as a writer and story editor on 12 episodes of Rectify; and writing the 2018 episode of Narcos: Mexico entitled "Rafa, Rafa, Rafa!" Teems also produced several installments of Rectify and Narcos: Mexico, and the documentary short Interpreting Twain. Additionally, Teems' experience with the horror genre should inspire confidence in those curious about the writer's ability to make something worthwhile out of the Halloween sequel. Teems wrote the script for the remake of Stephen King's Firestarter, directed by Goodbye Berlin and In the Fade's Fatih Akin, and adapted The Breathing Method (another King work) for Doctor Strange director Scott Derrickson. It's good to know that Universal and Blumhouse are apparently satisfied with what Teems has already done with the Halloween sequel story, especially since the plot could take all sorts of twists and turns. Actress Curtis once noted that she would be down to return to the franchise for another installment, but she isn't sure if Laurie would have a place in it. "I have no idea at this point, today, I have no idea. I would make an assumption that, if David Gordon Green has a story to tell, that the people involved with the movie would encourage him to tell it," she told Entertainment Weekly in December of 2018. "David was a fantastic director, writer, but obviously this 2018, 40th anniversary, was Laurie's story, and obviously there are now other people's stories that would need to get told. But Laurie's story was told beautifully this year, and I would have no way of knowing how they would incorporate her into future." Could this mean the Halloween sequel will pass the torch to Allyson and position her as the new scream queen of the series? Only time will tell. Check back with Looper for future updates on the film as more information becomes available.